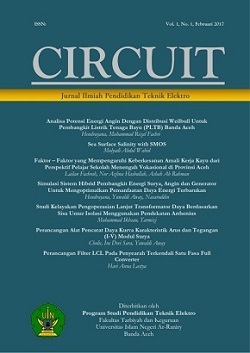 JOURNAL DESCRIPTION Journal Circuit is an Electrical Engineering Education Scientific journal which published by the Electrical Engineering Education Department, Faculty of Teaching and Training, Ar-Raniry State Islamic University, Banda Aceh. The Circuit Journal publishes empirical and theoretical contributions in the electrical engineering education scientific from the students, lecturers, professors or other scientists. The Circuit Journal manuscripts provide an original fundamental research, related to electrical engineering, electrical engineering education, and vocational education. The Circuit Journal also embossing the interpretative reviews, and discussion of new development in electrical engineering education. The paper which describes literature theory and its application to practice are welcome, as well as it illustrates the transfer of techniques or electrical engineering from other disciplines. Reports which executed experimental work and original research result are also welcome. In addition, the Circuit Journal publishes papers dealing with topics in electrical, power engineering, digital system, engineering technology, power energy, electronics, vocational education, vocational learning and teaching, and vocational management. 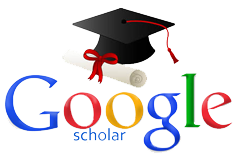 Papers in which knowledge from other disciplines that is integrated with electrical engineering are kindly accepted. We are enthusiastic in receiving comments or feedback on our journal and we are welcome for the interesting articles for the Circuit Journal.